What is the best collaboration software tool for Mac? The best collaboration software tool for Mac is Wrike. Trusted by thousands of businesses all over the world, this award-winning online collaboration platform is a popular collaboration platform of choice among Mac users as it allows smart and efficient communication as well as management and sharing of files, documents and other types of data. 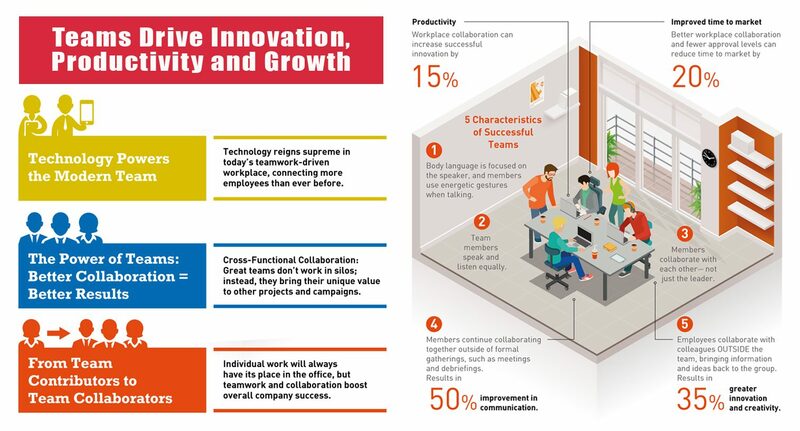 In today’s highly connected, digital workplace, technological tools like collaborative software has taken the center stage. These teamwork-focused apps have been found to offer benefits such as higher organizational performance, better employee engagement, and increasing rapport among colleagues. No wonder more and more businesses believe that collaboration is key to achieve competitive advantage and that technology is a central part of effective collaboration. While the need for people to work together toward a common goal exists in every type of business or organization, creative collaboration is usually attributed, but not solely, to creative professionals and knowledge workers like video producers, web designers, photographers, and animators. These professionals are typically known to prefer using Mac in their work. And if you’re a Mac user who’s searching for a collaboration software app or would like to try something new, this article is written for you. True collaboration occurs when employees and project team members communicate and work together. It happens when a staff builds upon each colleague’s concepts to generate something novel or perform something in a different and innovative way. To survive in today’s highly competitive economy, a business must be a collaborative organization as it has the power to set free the possibilities and capabilities of every staff in order to boost growth based on productivity and innovation. A study found that when employees collaborate, they, on the average, tend to complete their jobs 15% faster, 56% are more contented with their work, 60% are creative, and 73% perform better in their jobs. No wonder the global demand for team collaboration platforms is continuously rising. For Mac business users, collaborative software has never been more in demand as they are now. 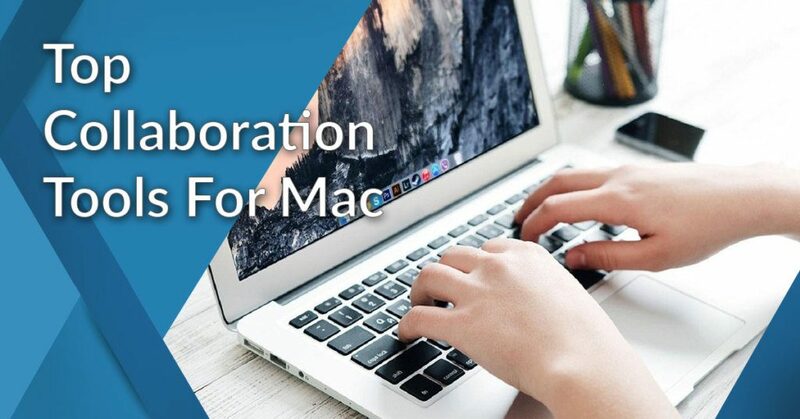 This expert selection of the Top 12 collaboration software tools for Mac will provide you with some useful insights and working knowledge on these technological solutions to support collaboration in your workplace. Wrike is one of the leading collaboration platforms for Mac as it allows users to get everything they need to be organized in a single, convenient place. With this easy-to-use, intuitive platform, there’s no more need to open different apps or use many applications. From communication and document management to negotiation and problem solving, Wrike provides you with the tools and functionalities to complete any collaborative work done in a timely and efficient manner. This robust solution is a favorite among Mac users as it allows seamless collaboration across teams and much more. It also helps deliver outcomes and efficiency in resource management. It also allows you to streamline and automate repetitive and cumbersome tasks and processes. Aside from allowing you to integrate with your favorite apps, Wrike supports team reporting in real-time, including enterprise-class IT controls and security. If you want to test drive this smart collaboration app, you can just sign up for a Wrike free trial here. This collaboration solution allows users to keep everything easy to find, visible and neatly organized. You can simply any task into different folders and combine any folder types, tasks, subtasks, folders, and other projects. With its automation features and dynamic request forms, Wrike also hastens processes and the completion of tasks and projects, within the office and even out in the field. Wrike has consistently held the top spot in our ranking of collaboration tools we’ve tested not only due to its efficient features but as well as its user-friendliness, high functionality and scalability, and automation capability, etc. Businesses of any size and even individual freelancers can likely afford to use one as it is offered in packages that fit any budget and projects. Monday.com is a collaboration application you can use to help your staff and project team members work seamlessly in a synchronized manner from one platform. This Mac app is widely used particularly for its clean user interface which you can use to track all team tasks and activities. You can try this desktop app when you sign up for a Monday.com free trial here. This platform is a good choice for businesses and projects with large teams that need efficient management and tracking of complicated tasks and activities, not to mention the demand to meet deadlines. The unified single-interface design of Monday.com does not only keep every team member on the same page but also drives productivity because it enables visibility and user engagement. With Monday.com’s smart single UI system helps you plan and manage all activities and team workload and easily identify probable problem areas before they materialize. With such visibility, collaboration is driven among team members. ProjectManager is a feature-packed cloud-based collaboration platform for businesses of any type and size. This robust solution runs completely using a browser, like your favorite Safari. It also offers efficient mobile support so you can continue work even when you’re on the go with your trusty iOS apps on your mobile phone wherever you are. True to its name, this solution is the solution you need to help you manage your projects more efficiently, from the initial planning, monitoring, up to completion and reporting. It has a wide range of features to support better collaboration among teams. If you want to test its rich features, you only need to sign up for a ProjectManager free trial here. With its interactive Gantt charts, among its many dynamic functionalities, you can easily make project plans and quickly make adjustments in your programs when the need arises using its drag-and-drop feature. Furthermore, ProjectManager is scalable so it lets you adapt to your particular needs and to a multitude of project types, including marketing, software development, and construction. Zoho Projects is a free online collaboration software tool for Mac designed to help businesses complete tasks quicker. Small businesses and freelancers working with teams will appreciate this free platform as it also has the important collaboration and communication features to efficiently support task and project planning, monitoring, and reporting. As a free-to-use app, users will likely appreciate its integration capabilities. Being a part of the popular Zoho suite, Zoho Projects can readily integrate with several dozens of productivity and business tools, including for I.T. management, help desk, billing, and CRM. Zoho Project is one of the few functional collaboration platforms remaining in the market today that still offers unlimited use of its free version, which is a welcome offer for small businesses and freelance professionals that typically run on a limited budget. You can easily sign up for a Zoho Projects free trial here. Bitrix24 is a unified collaboration platform with integrated business tools like such as document management, time management, project management, and CRM. It provides you an integrated platform for your files, projects, messages, tasks, and contacts. You can immediately use the platform by simply registering for an account and then inviting your colleagues. Through the Activity Stream, everyone in your team can keep track of tasks and effectively work together to progress on the project. Its main solutions include social network, tasks and projects, CRM, document management, file sharing, calendar and planning, sales team management, email, telephone, and HR management. It also has a mobile solution that works on your smartphone or tablet whether it’s Android, iPhone, or iPad. You can easily sign up for a Bitrix24 free trial here. ActiveCollab is the project management software that gives you complete control over your work. It is an integrated project management and collaboration tool that combines task management, time tracking, and billing into one easy-to-use and well-designed app. It is highly configurable and rich in planning and organizational tools that streamline or automate your processes up to getting paid, for instance, by linking time records with invoicing and a payment gateway right within the system for more accurate billing. The solution helps you organize your projects, tasks, and files in one place, so your teams are on the same page right off the bat. You can choose from task lists, kanban board and timeline view with task dependencies and automatic rescheduling, recurring tasks, and batch editing, among others, to map your goals and milestones. You can easily sign up for an ActiveCollab free trial here.  ConnectWise Manage is a concise collaboration and business suite that integrates various business functions in one unified platform. Whether for finance, sales, marketing, services or current projects, this robust platform helps you and your teams collaborate with all the needed tools readily accessible to support more efficient and timely completion of tasks and processes. ConnectWise Manage is designed to boost visibility and accountability among team members from the different units and departments of your company. This unified collaboration platform allows you to simplify the entire gamut of your business operations, enabling you to manage and plan tasks, communicate with team members, drive better teamwork, and facilitate better and more timely outcomes. You can easily sign up for a ConnectWise Manage free trial here. Cloud-based software Scoro is considered as one of the most complete collaboration platforms and it works seamlessly in a Mac. An ideal choice for SMBs, this small but feature-rich application boasts of offering an all-in-one package not only for team collaboration and communication but also for other key business aspects, including CRM, financial management, and task management. Its integrated innovative setup offers users the advantage of gaining seamless operational integration throughout your company. Another part of the Zoho business suite, Zoho Forms is an easy-to-use collaboration tool that drives teamwork by boosting the sharing of information and creating personalized web-based forms. This collaboration platform focuses on the efficient use and management of online forms that can be built and collected across a wide range of channels and systems to support business processes and communication. The program also allows your staff to embed public links in the forms they create, which they can email to colleagues or outside partners in a well-organized and secured system. As a collaboration software for Mac, Zoho Forms provides the efficient transfer of data via the cloud, which makes your important business assets easily accessed anytime using any device, while at the same time ensures their security and longevity. Zoho Forms is affordable, user-friendly, efficient, and can be scaled to suit the needs of businesses of any size. You can easily sign up for a Zoho Forms free trial here. Hive is a robust, cloud-based collaboration and project management platform for high-performing teams of SMBs. Whether your teams have a few or many members, this online tool can be scaled to help them achieve their goals. With its numerous features like group chat, task automation, action cards, and project tracking, Hive supports seamless collaboration among your internal and external teams. This platform allows businesses to efficiently make, categorize, and allocate tasks for the members of your work teams, which contains the full information per task like tags, deadlines, and file attachments. Its Hive Analytics provides users with various dashboards that offer insights into team performance and updates. You’ll also appreciate how this system allows you to monitor tasks and change project variables and data, and view project information the same as a Kanban tool. Hive also integrates with your favorite online storage for simple accessing, sharing, and co-management of documents among your staff and team members. You can easily sign up for a Hive free trial here. Another award-winning team collaboration tool, Vabotu is made to enable teams to work better and more efficiently. Essentially, it is a collaboration and team messaging solution designed to function like how teams work. As a multi-feature solution, Hive allows you to have all the things you need for collaboration in a single location, from team messaging to media hub and task boards, everything in a clear, user-friendly interface, so that your team members are always on the same page. Vabotu is made to help cut expenses, save time, and enhance efficiency by helping businesses perform tasks quicker. It aims to be the software solution businesses need to help them prevent the common incidence of resource wastage, lost time, and expensive bills that happen when using multiple platforms for collaboration. You can easily sign up for a Vabotu free trial here. Mirrorfly is a real-time collaboration and messaging software that businesses can use to help them build their own chat application. Once you’ve created your custom-made app, which can be used for your Mac and iOS, you can collaborate with your team and manage all in-app messages from one, integrated place. This platform provides users with the features for streamlining, automating, and facilitating real-time conversations via video conferencing, voice call, and messaging. With this app, you can build fully customizable messaging platforms for different platforms and channels, as well as benefit from having complete access to the app’s source codes. Mirrorfly also enables unlimited scalability, which allows you to make modifications fast to your teams’ messaging apps whenever the situation requires the needed change. Its user interface is enhanced with elegant, ready-made templates and designs to support smooth navigation and user experience. Ease of use. Always prioritize apps that are user-friendly. When a software solution is effective but requires a long time to learn how to use it, it will do more harm than good. Test several apps using their free trial or a demo and check for those with simple navigation and smart dashboard. Cloud-based. On-premise apps are good, but cloud-based apps are far better. Apps that can be accessed via the cloud offers a lot of advantages including easy access for every team member wherever they are, task visibility, efficient version control, etc. Multiple features. Don’t always settle for apps that offer a few efficient tools because that would mean drawbacks on other capabilities, which can adversely affect overall collaboration and productivity. Look for apps that offer many smart features so that you and your team won’t need to switch from one app to another to get a simple task done. Compatibility and integrations. In case you really liked some apps because of their few but robust features that make them stand out, well, don’t count them out yet. Check if they are compatible with your files and offer a wide range of integrations with applications that you’re already using. If they do, they’re also a good choice. Privacy options. Team members collaborating with each other involve information and task status that should be protected. Because your business or project data should only be exchanged among your teams and staff, and not with anybody else, be sure to check the privacy options of a collaboration platform before you make that a final decision. You can also check out our 20 Best Online Collaboration Software Tools for both Mac and Windows. In case you still haven’t decided which collaboration software to choose, why not first try signing up for a Wrike free trial here? Once you’ve tested this top-ranked tool, you’ll likely gain deeper insights on how a robust collaboration tool really works.